Mr. Stephen Maina is currently the Managing Director and Principle Officer of Afro Centric Health Solutions Limited. He has over 15 years corporate experience at senior management and board levels. He commenced his professional training in 1992 with Price water house Coopers where he worked in both the Nairobi and London offices. He joined AAR Group in 2000 as Group Finance Director and held various senior management roles within the group until he left in 2013 as the Group Strategy Director having overseen key strategic changes including raising significant capital for the business. In 2013 he started a consultancy firm Stekmah Limited providing consultancy services in finance and organizational strategy. He also provided consultancy services in the health and insurance sectors where he leveraged on his deep knowledge and experience of these sectors. In June 2015 he joined Afro Centric Health Solutions Limited (AHSL) a Medical Insurance Provider (MIP) as the Managing Director. AHSL is an associate of Medscheme Holdings (Pty) Limited and is focused on administration of health schemes. He sits on the board of AAR Credit Services Ltd and AAR Credit Services Uganda Limited where he is the Chair of the Risk and Audit Committee of the Board. 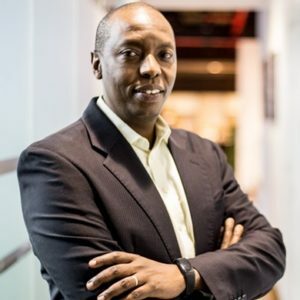 He is an accountant by profession and training and a member of the Institute of Certified Public Accountants of Kenya and has in-depth knowledge and experience in insurance, corporate strategy, organizational restructuring, performance management and financial management.